Nothing says comfort like the smell of homemade baking. Homemade baked muffins are not only delicious but more nutritious and healthy. Savory breakfasts are usually confined to the weekends, when you have time to bake and devour brunches with friend and family. But these savory muffins are so easy to make and such a delight to eat and share, I am sure you will be making these soon on weekdays too. These savory breakfast chickpea muffins acquire slight sweet and nutty flavor of chickpea flour and tang of goat cheese and sweet cherry hair loom tomatoes. 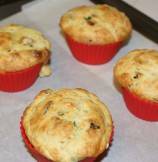 I have also used some scallions, cilantro, finely chopped green Serrano peppers and fried mustard seeds to make these muffins sound and taste delicious and full of fresh flavors. Enjoy these mini delights with your choice of tomato chutney. I also love to enjoy these Savory Muffins with bowl of warm tomato soup. If you plan to make these savory muffins at weekend, double the recipe since these delicious treats do not last for long on kitchen table. My family finishes all muffins the same day I bake or I should say in just few hours. 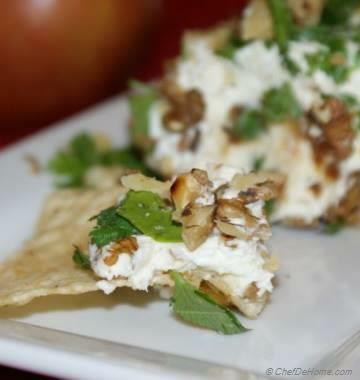 Smart Swap Use tangy Pickled Jalapeno instead of Goat Cheese for healthy taste variation. 1. Pre heat the oven at 400 F. Grease 8 muffin cups with butter. In a small sauté pan, melt 1 tbsp butter. Add mustard seeds. 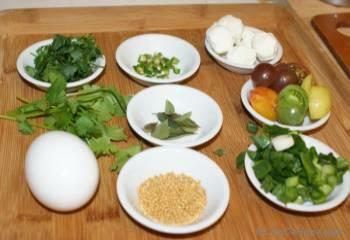 When they start sputtering, add curry leaves, scallions and chopped green pepper. Sauté for 1 minute. Add cilantro and remove from heat. Now add remaining 2 tbsp butter in pan. It will melt from heat contents in pan. Let the mixture cool down. 3. 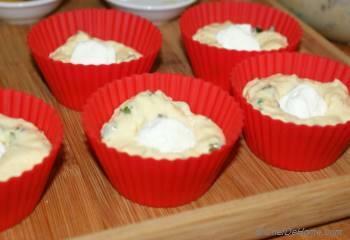 Spoon the batter in prepared muffins. Fill up to half. 5. Bake muffins for 18-23 minutes till golden at top and tooth pick inserted in center comes out clean. 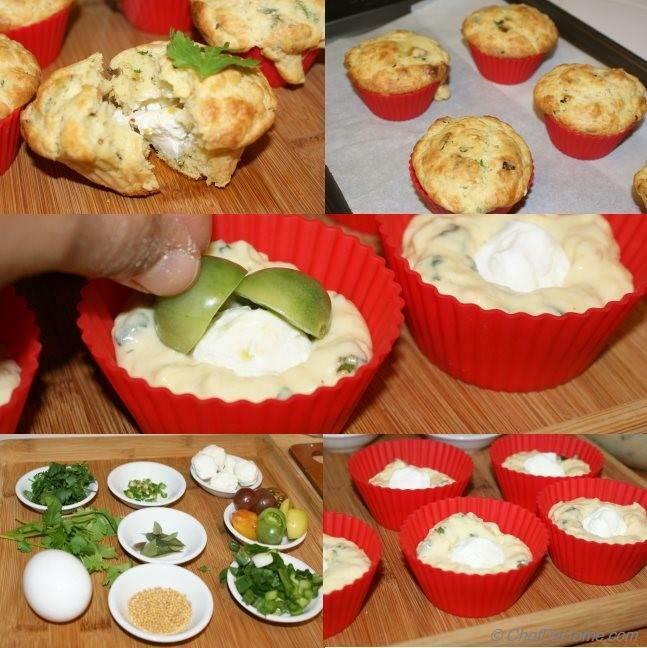 I have used silicon cups to bake these savory muffins, you can also use regular muffin baking sheet. 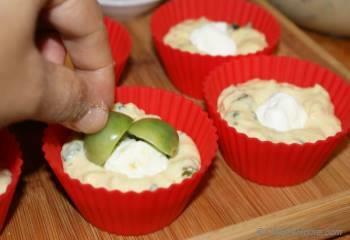 Muffins baked in tin baking sheet will be browner at edges than ones baked in silicon cups. Can I use whole wheat flour instead of all purpose flour? Thanks. Hi Chandra, I have not used whole wheat flour in this recipe ever. I think you can replace half of it with whole wheat.. just to be safe. I hope it helps. 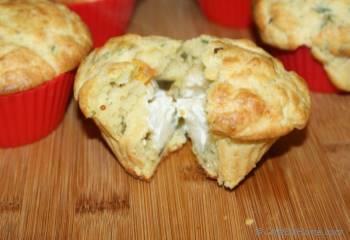 Hi, I tried your amazing chickpea savory muffins recipe yesterday and felt in love with it. This is part of our weekend menu now. Thanks for excellent recipe. Hi @Joe, I am glad your kids liked these savory muffins. Hi @Lauren, you can try gluten free white flour available in most of stores like Vons, Whole Foods, Farmers market. 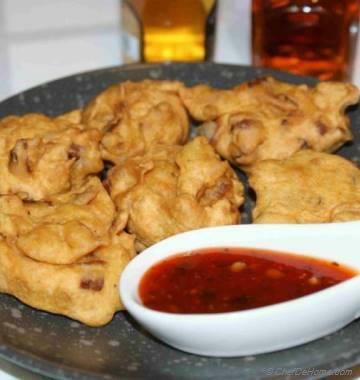 There are many recipes on ChefDeHome made with Chickpea flour, so give those a try as well. Happy baking. 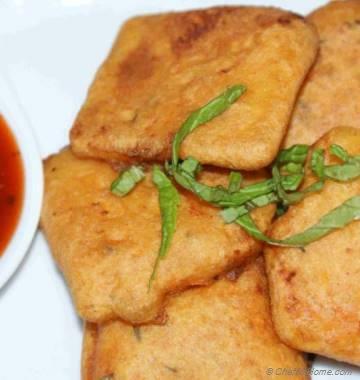 Chickpea flour is so good for health. I have gluten allergy, so I anyways use chickpea flour a lot. Can you suggest a good alternative to White Flour you used in this recipe? I really want to make these muffins. Thanks for helping out.